'saratoga living' rewinded the clock 10, 25, 50, 100, 125 and 150 years. Here's what we found. 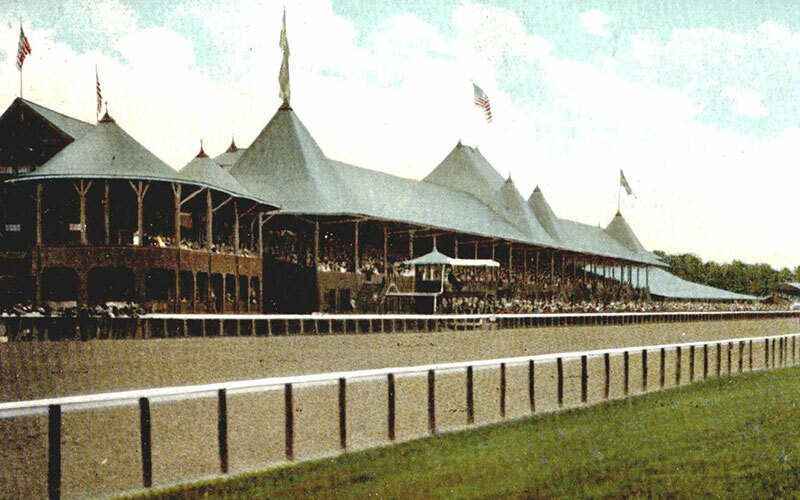 Saratoga Race Course in 1907. For the 2017 meet, we’re looking back at the Saratoga Race Course throughout its history. Were you at the track in 1992? Or did you cash a winner in 1967? We’ve filled in all the blanks below. In 2007, veteran jockey Calvin Borel, who had rarely ridden at Saratoga Race Course, added to a resume that carried him to the Hall of Fame in 2013 by winning Grade 1 races on consecutive weekends during the 36-day season: Grand Couturier in the Sword Dancer Invitational Handicap, Lady Joanne in the Alabama and Kentucky Derby winner Street Sense in the Travers. Five attendance and handle records were set in 1992, the second year of a five-week, 30-day season. Thunder Rumble swept the Jim Dandy and the Travers, becoming the first New York-bred to win the Travers since Young Peter in 1947. Mike Smith won his second straight riding title and D. Wayne Lukas and Bill Mott tied for the training title. It was Lukas’ fifth consecutive year at the top of the standings. In 1967, Damascus, the 3-year-old champion, handicap champ and Horse of the Year, won the Travers by 22 lengths, a record that still stands, beating three rivals over a sloppy track. Angel Cordero won the first of his record 14 riding titles at Saratoga, with 36 victories during the 24-day meet. Kentucky Derby winner Omar Khayyam rolled through the Saratoga season in 1917, with victories in the Kenner Stakes, the Saratoga Cup and the Travers. During that 26-day season, Sun Briar emerged as a 2-year-old star, winning four stakes: the Saratoga Special, the Albany Handicap, the Grand Union Hotel Stakes and the Hopeful. Sun Briar beat a field of 18 in the mud in the Hopeful and earned the whopping first place prize of $30,000 for his owner, Willis Sharp Kilmer. The darkest period of the track’s history began in 1892, with the first season under the ownership of bookmaker Gottfried Walbaum, a notorious figure, who was often accused of fixing races. Walbaum changed post times, allowed women and children to bet, cut purses and did not run some of the famous stakes, like the Travers and the Alabama. He closed the 1895 season early and did not open the track in 1896. A group led by William C. Whitney purchased the track from Walbaum in 1900.